Week 1 of NFL preseason is now complete. The NFL owners fought desperately to keep all of the preseason so they would have a better chance to evaluate their team before the preseason. Unfortunately, no. They did it for ticket sales and more revenue as 100-200 million dollars were projected to be loss for every week of preseason missed. In the meantime keeping track of some for Cal Bears fighting for depth chart position on their respective NFL teams…. Verran Tucker is fighting for the #2 or #3 WR spot behind Dwayne Bowe in Kansas City. 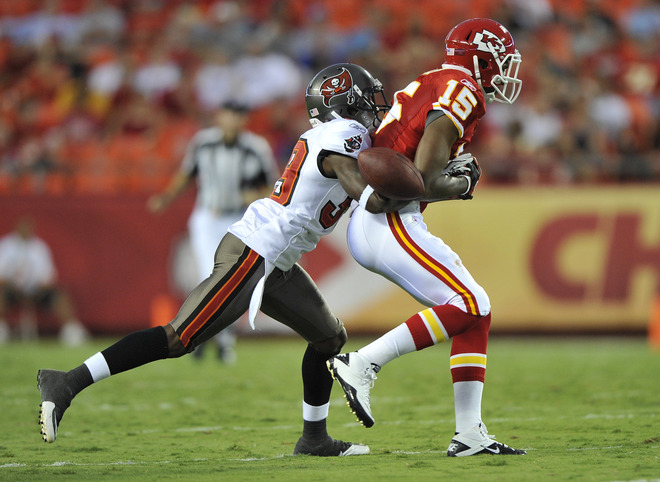 Bowe led the team in receptions and was followed by Tony Moeaki (TE) and Jamal Charles (RB). The second leading WR had only 22 catches. Kansas City drafted Jon Baldwin out of Pitt in the first round to try to balance to ball distribution. But Verran Tucker knows the preseason is a great chance to shine and improve his chance as Bowe’s right hand man. Will Ta’ufo’ou has been standing out in Bear’s (Chicago) camp and looks to try to make the 53-man roster this year. He worked 2009 and 2010 on the Bear’s practice squad. Kyle Boller is in a dead heat with a familiar face from Stanford, Trent Edwards, for the #2 QB position behind Jason Campbell. Coach Hue Jackson has said the competition has been a dead heat. 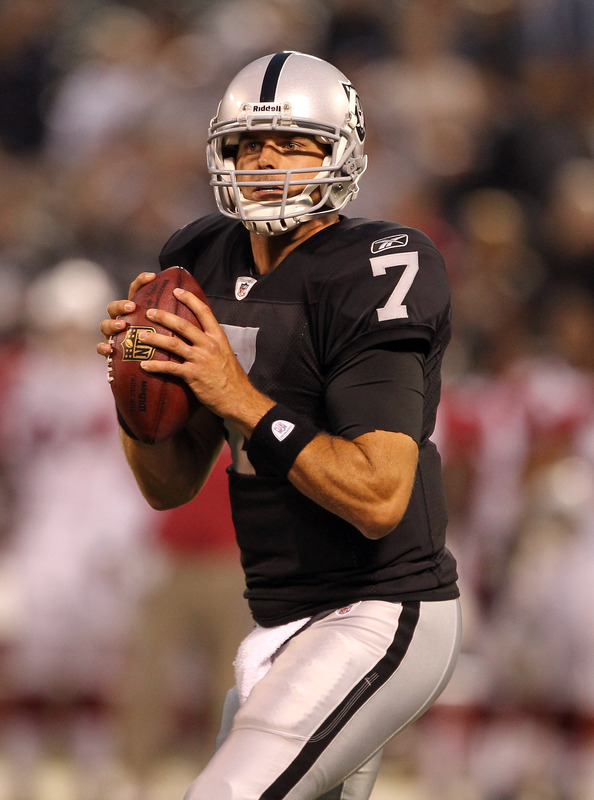 Boller completed the only TD pass for Oakland in the game hooking up with former USC WR David Ausberry for an 18 yard pass and finished the game 7/8 for 42 yards. Dante Hughes is looking to lock down a position as the nickelback for the San Diego Chargers. He is currently battling former USC Trojan and 2011 3rd round pick Shareece Wright along with 2nd rounder Marcus Gilchrist for the starting CB spot opposite Quentin Jammer while former Arizona Wildcat Antoine Cason is out nursing a broken finger. Jahvid Best looks for running room in week 1 preseason action vs. the Bengals. Jahvid Best looks to get more carries this year due to the injury of rookie Mikel Leshoure. Jahvid is currently listed ahead of Maurice Morris on the Lion’s depth chart and was instrumental to the Lion’s first TD drive. Chris Conte looks to continue his transition from being a cornerback to being a safety. In addition, Conte improved his stock by picking off 2011 NFC Championship game Bear’s savior Caleb Hanie and has been earning praise from Bear’s head coach Lovie Smith.